This endpoint is used to link a new social identity to an existing user account. Once linked, the new identity can be used to sign in to that account. To make this call, you must have a valid Social Login token received after a user authenticates through the social provider account to be linked, as well as a valid Registration access token for the user record to be updated. 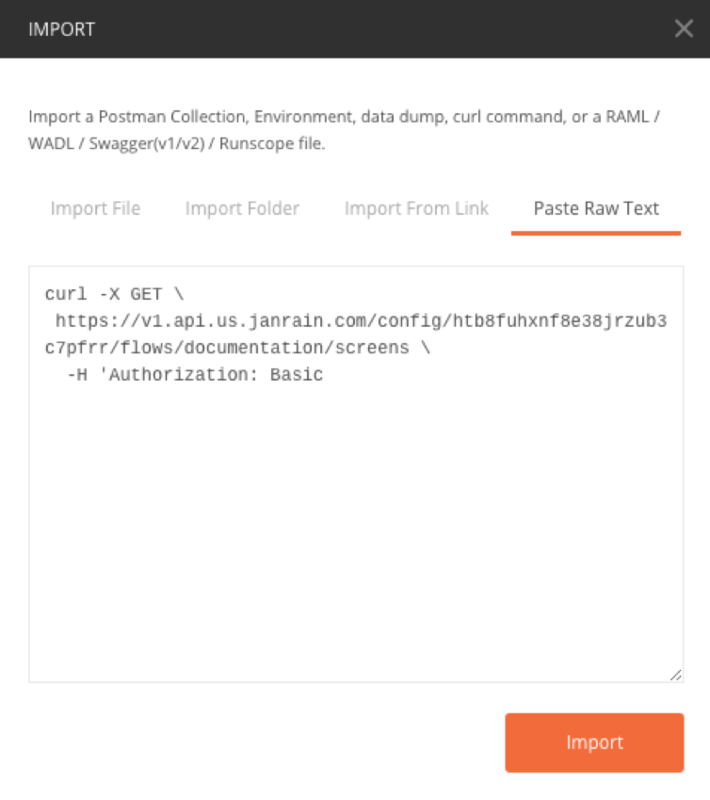 A video demo in Postman can be found here. access_token string Yes Registration access token returned after authentication or registration with a previous call (/oauth/auth_native, /oauth/auth_native_traditional, and so on) if the response_type parameter was set to token. If the response_type was set to code, you must exchange the authorization code for an access token using the/oauth/token call. token string Yes One-time token used for social authentication. This is the token passed from the Social Login application to your token URL. The token must be received from the same Social Login application that is configured for the API client used to make this call; this can be configured in the Default Settings for your Registration application if you have a single Social Login application. The token will be a unique 40-character string and can be used with the auth_info endpoint to retrieve a user's social profile directly; however, this is not necessary when using the oauth endpoints for registration because that data is retrieved and stored for you. The example error response below indicates that the Social Login token passed into the call is invalid or expired. The example error response below indicates that the social identity the user has attempted to link is already associated with an account and cannot be linked. "message": "That account is already in use."